The Harry mania is in full force. Returning solo following a prior gig with his ex-bandmates of One Direction back in 2015, his live concert at The Star Theatre to a 5000-strong sold-out audience proved to be a much more intimate affair. It’s not like the absence of his previous bandmates put any dent to his spectacle of a show. 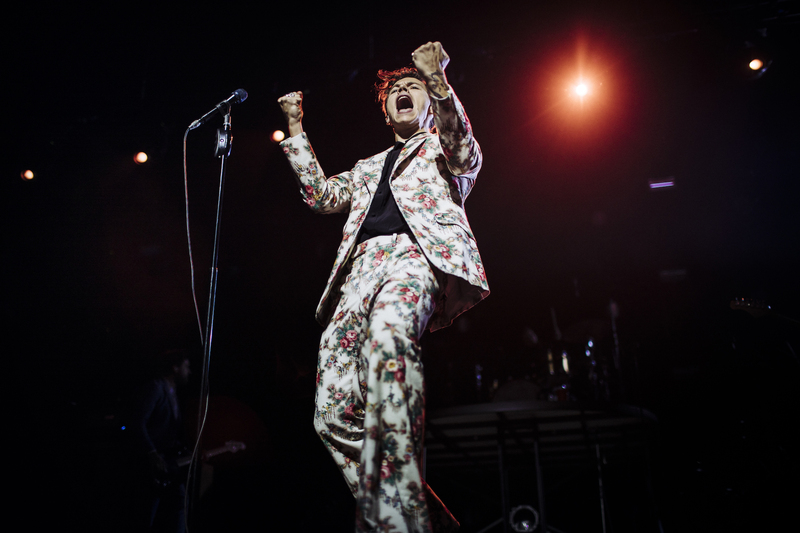 Sauntering onto stage decked in his now-signature floral suit, the dapper 23-year-old was all smiles as he launched into ‘Ever Since New York’ and recent hit ‘Two Ghosts’, igniting a frenzy among his fans that comprised mostly of screaming teenage girls. Why majority of his followers would be female is clear – the dashingly handsome British crooner knew every cheeky smile, wink and crowd-pointing move to get decibel-rocketing squeals from the crowd. Perhaps his firm stance as a pro-femme next generation pop star also resonates positively. “I think music is and should be a safe space for everyone. I don’t see why that would ever or should ever exclude women. It’s often dismissed a little bit – younger girls’ taste in things. I still don’t really understand that at all. Women and girls, in particular, are very much the future and our future. I feel very lucky to get to play in front of such an amazing group of strong women and men every night. It’s something that I feel very honored to get to do”, he shared earlier in the press conference too. While he only has an album of 10 songs, he made up for a potentially short set with covers that got the wildest cheers of the night. First breaking out into a soulful hit he penned for fellow star Ariana Grande ‘Just A Little Bit Of Heart’ before surprising with rockier versions of 1D’s ‘What Makes You Beautiful’ and ‘Stockholm Syndrome’, they were purposeful reminders that Harry has somewhat ditched the pop roots he built his name on for a more genuine, bluesy rock sound truer to his artistry. That notion couldn’t be more evident on the soaring ballad ‘Sign of the Times’, which – despite a slight hiccup at the start of the song – drew the 75-minute short set to close on a high. Fans who missed the chance won’t have to wait long for his return either – one that he’s teased will be significantly different from his solo live debut. “I’m starting to think about what that show is going to be now and I’m trying to get some ideas together. So, going into the next one, there are a lot of things that I’ve learned that I didn’t know before. It’s always been important to me that the show is good because I want people to come even if they’re not necessarily the biggest fan of the music they can leave and appreciate the show and come and have a good time. It’s important to make sure that the show is always growing, change some stuff up and put some surprises in. So I’m looking forward to working out exactly what’s that gonna be.” And come May 2018 when he takes the larger Singapore Indoor Stadium stage, rest assured that it’ll be an even grander occasion than what we witnessed. 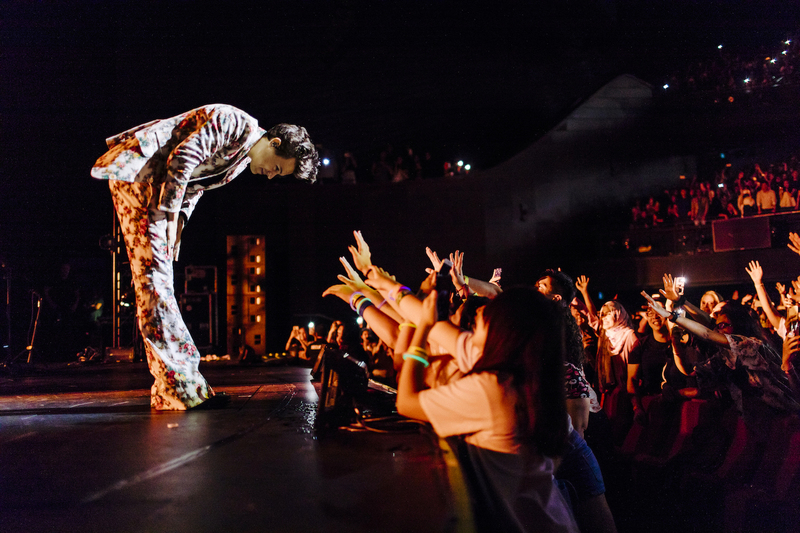 Tickets to Harry Styles Live in Singapore 2018 are available here. 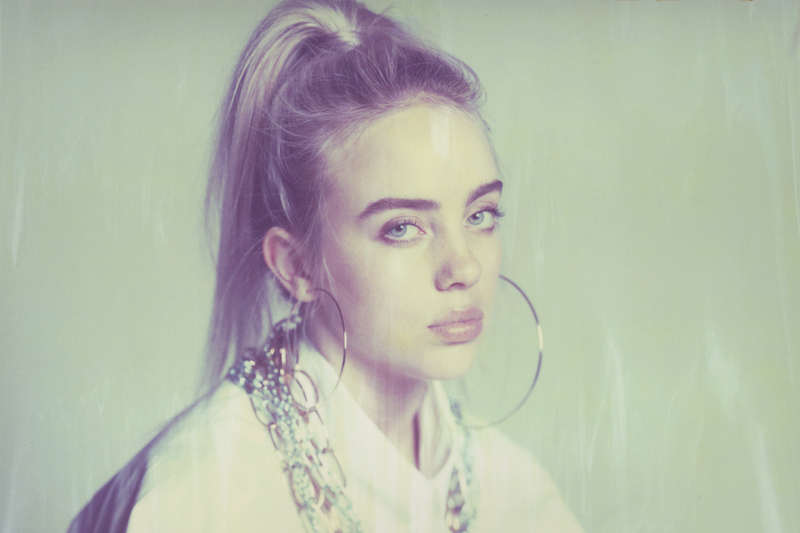 Billie Eilish is not like most 15-year-olds. For one, she’s on the cusp of superstardom. As her single ‘Ocean Eyes’ went viral this year, so has her status as one of music’s most promising, with her eclectic style and genre-bending tunes – and she’s doing it all on her on terms. Ahead of her Singapore debut performance at Laneway Festival 2018, we speak to the 15-year-old wunderkind about her meteoric rise, upcoming birthday plans, and why she doesn’t want you to smile at her. Hey Billie! Where are you calling from right now, and what’re you up to? I’m in LA, laying on my bed. Last week I got back from my first tour, which is crazy. So I’m finally home for a couple of months. It’s great to have some time off! First things first, congratulations on the EP, don’t smile at me. But why that title? (Laughs) Well, thank you! The reason why I came up with the title right away, is that I really like when things are named after something that’s kind of more, a sentence or description of something instead of like a “deep word”. Some albums are just called like one word that means nothing. I think that’s so dumb. I’m super inspired by a lot of Corbin’s music and the Arctic Monkeys have really cool titles. Corbin has a song called ‘Take The Blame So I Don’t Have To’, and I think that’s so interesting. He never says that in the song, but that’s what I think is cool about it. When I saw that title, I clicked to listen to it because it looks like it would sound cool. With don’t smile at me, I hate smiling first of all. In LA, if you’re walking down the street and if a stranger is walking the opposite way and they make eye contact and smile at you, the correct response is to smile back. But if I don’t smile back, then I feel bad because they’d then think I’m a horrible person. So I hate that! I don’t want to be thought of as a bad human because I didn’t do something that nobody asked me to do. So don’t smile at me. Doesn’t mean I hate you, we’re still cool! Ahh, yes! That’s the way! How far along are you on making the debut record? I’m working on it right now. I haven’t written any of the songs yet, which is exciting for me to see what my brother and I will create. It doesn’t make me worried that I’m not gonna be able to do it. I’m just going to keep trying to be as creative as possible, with names and titles. Are there artistes or producers that you and your brother would love to work with, possibly for your album? Or are you keeping it strictly family-only for now? I’d say for writing my songs, I would stick with my brother because we work so well together. We’ve worked with other writers, and it didn’t feel right. I just feel that the stuff we like the best are the stuff we created ourselves. And that’s not a diss to anyone else, it’s just that we’re more comfortable that way. But it’s really fun to work with other artistes, especially artistes and producers I look up to. I resonate better with creatives rather than a writer assigned to write for an artist. But I’d say like a dream collaborator, and I say this in every interview, Tyler the Creator would be my #1. That would just be crazy. What are your thoughts on giving up a conventional schooling life to pursue a music career? Do you ever feel like you’re missing out? I’ve never been to school so I can’t really say if school is better or worse because I don’t know. But I will say that nothing that I’ve ever wanted to do involves school, but that’s just me. That’s just the way that I found myself. It doesn’t mean that other people shouldn’t go to school and they should do something else. If you’re really interested in something being taught in school, then learn it, why not? But for me, I really wanted to learn about other things that school wasn’t offering. So I did and that was the way that I worked. There was a year where I wanted to go to school, but I realised that the only reason I wanted to was to go to school instead of actually learn. So I was like, that’s dumb, I’m already learning things and I have enough friends, I don’t need this. I didn’t wanna waste my time with something I didn’t care about. You’ll be on the Laneway Festival lineup next year, and it’s your first large-scale festival! How does that feel for you, and what are you expecting? It’s exciting. I have never played a festival. I played a little festival that I wasn’t really announced for, and it was aged 21 and older, and nobody knew who I was, so nobody came. Which was fine, it was a cool experience. But now it’s like, “Here’s a festival Billie, now go play it!”, that’s crazy! I’ve only heard good things about [Laneway], nobody has said anything negative about it whatsoever. I’m just so hyped. Are there any artists on the lineup you can’t wait to catch as well? I haven’t seen the lineup in a while but I remember seeing Mac DeMarco, Anderson .Paak and The Internet, which is craaazy?! They’re all amazing. What can fans look forward to from your live shows? Honestly, I haven’t even thought about it yet! But I know that it’ll be lit. I trust myself in knowing that it will be really fun. I think we might have more than my brother and I performing. We’ll maybe have a drummer and more people in the band to play with us, which is super fun and I’ve never done that before. I can’t even wait! Being the youngest on the Laneway lineup, do you think that’s to your advantage or disadvantage? I think that’s to my advantage in this case, for sure. What’s funny though; Laneway itself is an 18+ only event (in some countries), so technically I couldn’t even go if I wanted to, which is weird. There’s bound to be people who’ll shrug off your music because you’re 15, yet there’ll be way more people who’ll be like “She’s cool BECAUSE she’s 15”. What do you have to say about haters? I think there’s more advantages than there are disadvantages of being so young. I think if anything – and I’m not saying this is about me – but people think that if you’re younger and doing something cool, it’s more impressive than if you’re older and doing something cool. Which is kind of unfair to older people, but it also kind of makes sense. It is really pretty cool to be doing all of this! You’re also turning 16 in a month! How’re you planning to celebrate your upcoming birthday? Thanks! I’ve been trying to [plan] recently, and when I was younger, I really want to have a Sweet Sixteen. But… I don’t know. I feel like recently, I don’t have the friend group that I had and I’m kind of in a transitional period with friends, so there’s not really anyone I feel that cares enough about me to be with me on my birthday? That sounds depressing as sh*t, but it’s true. I was thinking of either having a party and invite everyone or just have a little thing and have a few people come over, or going somewhere… I don’t know. I kind of just want to have a piñata, that’s it. What about hanging out with fans on your birthday? Dude, I’d be down. That’s a good idea! Having parents that are also actors, what are your thoughts on possibly becoming a multi-talent one day: singer, dancer, actress, fashion designer? Definitely. If I was acting, I’d be an artist first – like a proper singing musician. Like the way Rihanna did it – not that I want to copy Rihanna, I mean I think everyone does – but I think the fact that she’s an artist and she’s made it clear that that’s what she is first and then she goes and does really cool acting gigs, that’s the coolest way to do it. But I don’t want to be an actor. I used to when I was little but I think that’s just ‘cos I wanted to be on a TV show and have someone kill me, because that’s every child’s dream. I think the idea of working really hard on something and then maybe not getting it, I hate that. If I’m going to work hard on something, I want to know that I’m gonna at least make something of it in the end. I feel like acting is so random and it’s really about your connections and I hate that. I want to work for what I want instead of it being random. You’re also named one of VEVO’s 2018 Artists To Watch. What else do you have planned for the year ahead? A lot of stuff’s coming. New content, music, videos, shows ­– everything. Expect to see my face everywhere. Watch Billie Eilish perform ‘my boy’ below. Catch her live at Laneway Festival 2018 on 27 January 2018. Tickets available here.